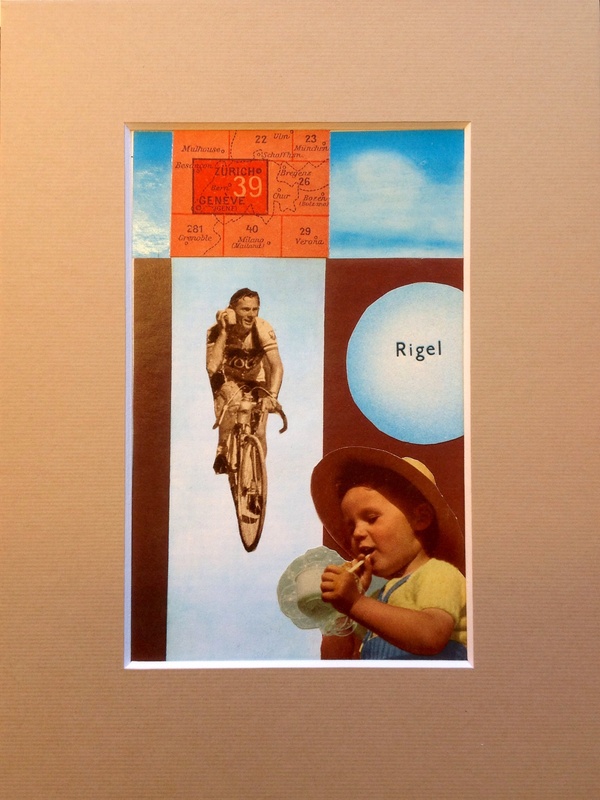 Henk Hannemann – collages, assemblages and art. Collage. Simple and small. 18x24cm with cut out 10x14cm. With piece of old map, sky of brochure of Rome, fifties Exakta camera leaflet and book about the cosmos. Lonneke Overdevest op Anyone for fishing?